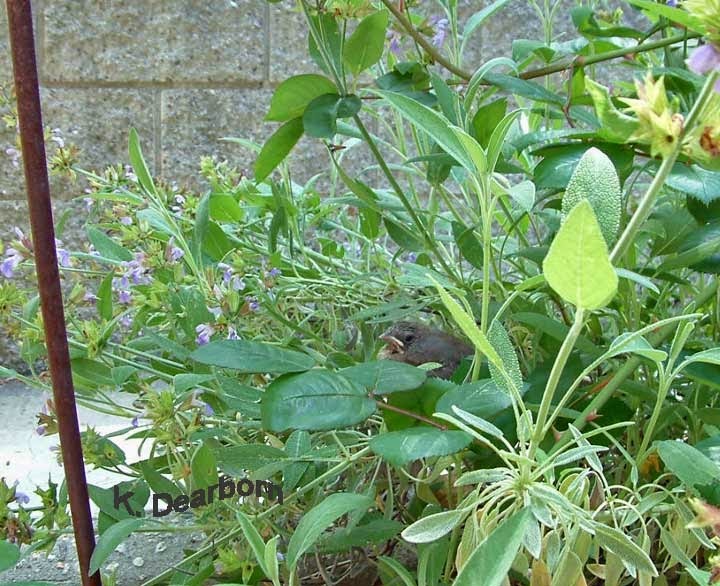 Sometimes it is hard to find the native plants you are looking for. Seeds can be your answer. I've admired the bladder pod and fairy duster (Calliandra ssp) in a friend's yard. This summer I asked if I could gather some seed from their plants. I scattered a few seeds in some pots and watched over them. To my happy surprise, I have small plants. They aren't quite ready to put in the ground, but some are ready to be moved to their own pots. Seeds represent future possibility. Not sure what to get someone as a small gift - How about seeds? Finally an inch of rain. Time for putting native plants in the ground. 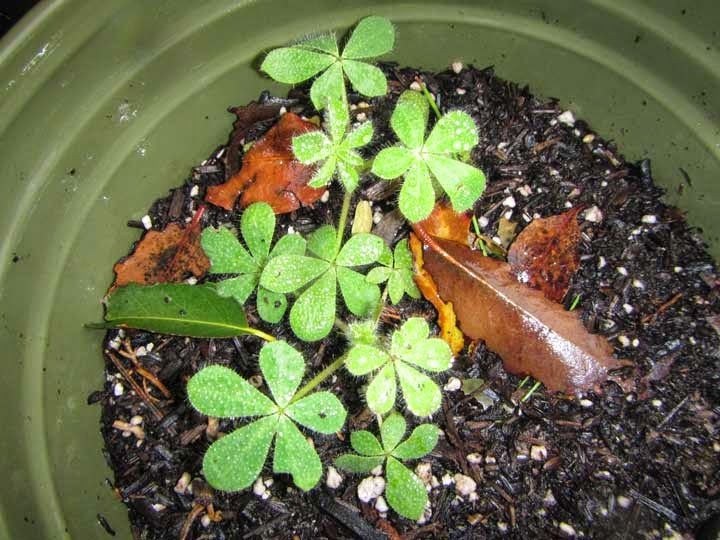 It may seem odd to plant as we ease into winter, but our California native plants do best when they have the winter to establish themselves. For our Mediterranean Climate Zone, dormancy comes during the summer. Winter and early spring are the seasons of growth. 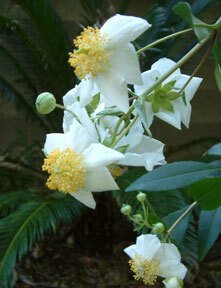 I've planted a second bush anemone as well as white sage, San Miguel Island yarrow, and some white buckwheat. The yarrow and the island subspecies of buckwheat we planted last year have reseeded themselves and small plants have come up on their own. That is the joy of native plants. Even with the drought they are doing well. Need an escape from the drought? Wednesday, mid-day, I glanced out the window to see a brilliant orange and black bird in the backyard. I dashed for a camera because this was no typical bird. Hooded orioles typically nest in our neighborhood, and males are striking orange-yellow and black, but this bird was nearly “caution-orange.” It had a black cap, black vest and wings. I had heard stories of a breeding colony of an African bird in the Sepulveda Basin, but I had never seen one myself. When I saw that coloration I knew an orange bishop had come to see me. The orange bishop (Euplectes franciscanus), also known as the northern red bishop, is so extravagantly colored that at first glance it looks fake. My first thought was that one of my yard house finches had gotten brightly-colored trash stuck on it. In a dark tropical forest this brightly colored bird might not stand out, but here in a very dry southern California, I feared he might be easily picked off by our local Cooper’s hawk. 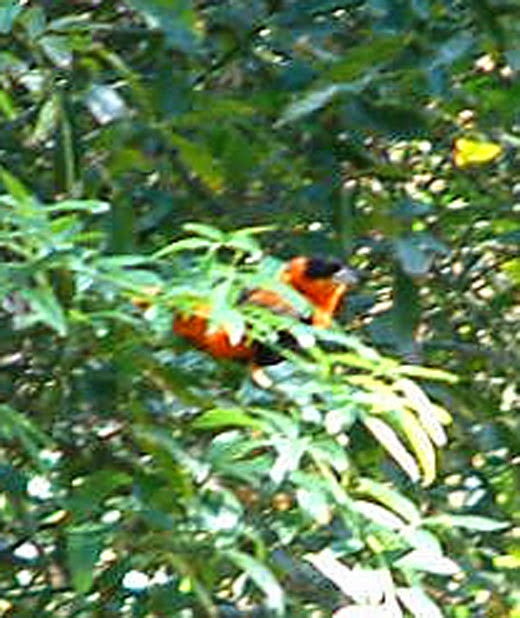 The female orange bishop is more moderately plumed. 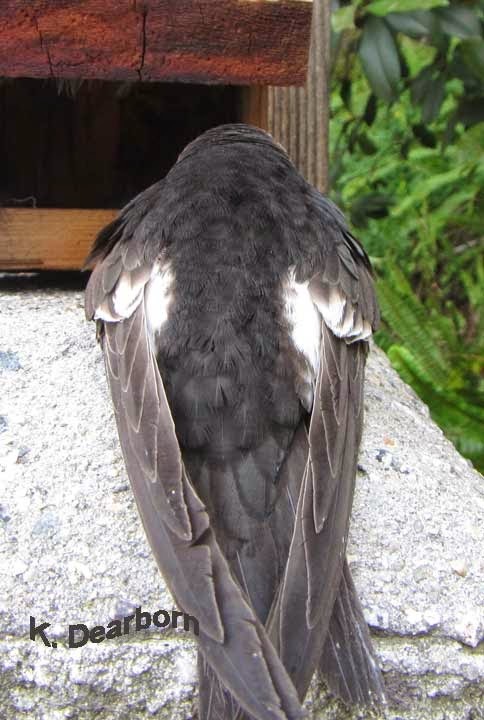 With a yellowish head and back, and a white tummy, she might blend in with goldfinches and sparrows. The lone male orange bishop stayed just long enough for me to hastily snap a few photos. He must have just been passing through because I haven’t seen him again. Was he a descendent of the breeding colony nearly 10 miles away or is he an escaped caged bird? Admired for their fantastic coloring, the orange bishop is sometimes kept as a pet. However, this bird did not seem comfortable with a human approaching. 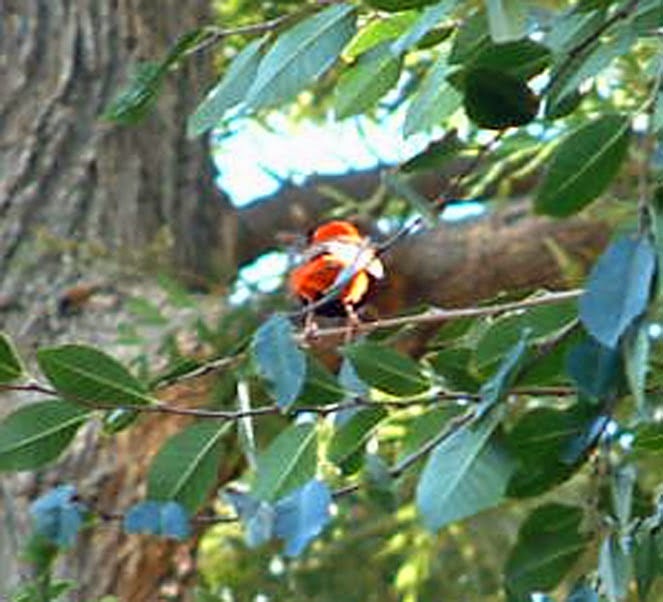 As a potentially invasive species, there is some concern about the orange bishop as there is with the nutmeg mannikin (Lonchura punctulata). 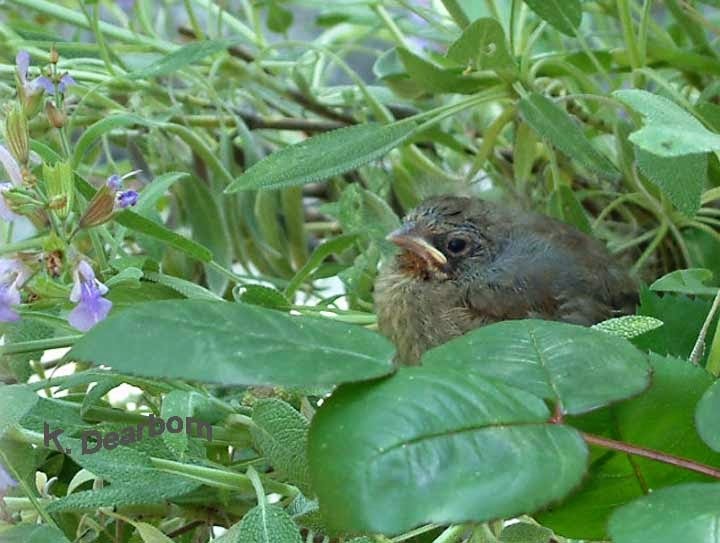 As seed feeders they could become crop pests or negatively impact native bird species. Orange bishop numbers seem to be increasing in North America. 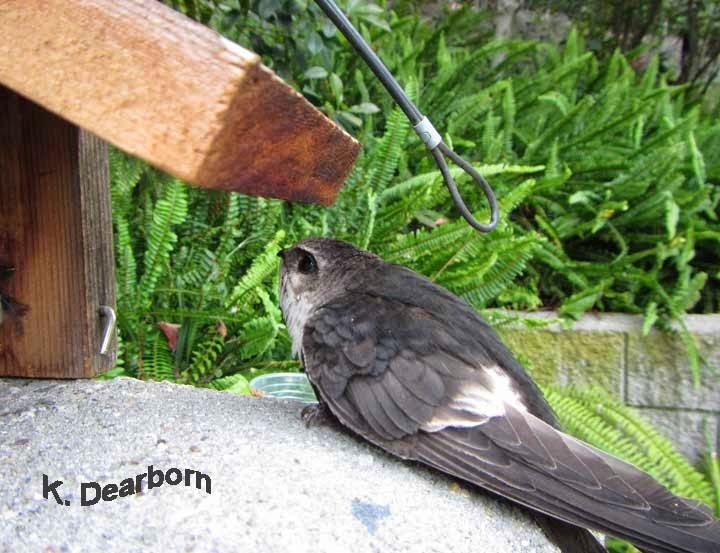 Sibley reports that there are breeding populations not only in southern California, but also Phoenix, Arizona, and Texas. 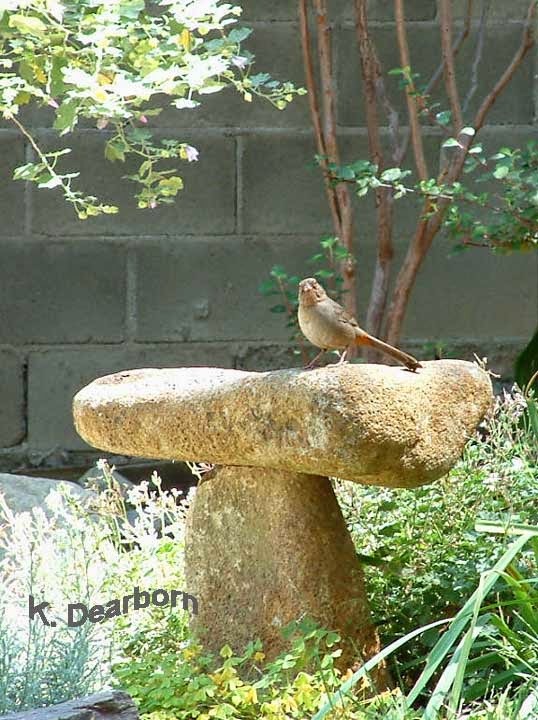 So if you see a bright red-orange sparrow-like bird in your yard, maybe the orange bishop has come to visit you as well. I had heard there was a native plant garden on the campus at Pierce College in the San Fernando Valley, but I had not been there. I'm doing a series on Hidden Gardens of Los Angeles on TheEarthMinute.com, so I went scouting for the garden at Pierce. At first I was hesitant because of the temporary fencing put up around campus construction, but I kept following the directional signage and soon found myself in a transformed landscape. What once was a grassy quad is now a garden of California natives with specifically sectioned areas of drought tolerant plants from the other Mediterranean-climate zones around the world. Despite the drought, this is a place of green and flowering vegetation. It also is an amazing example of how native plants create habitat. In the middle of the campus there are not only Anna's hummingbirds, but scrub-jays and even California quail. Butterfly and dragonfly species are numerous and the pond habitat had a variety of wildlife. 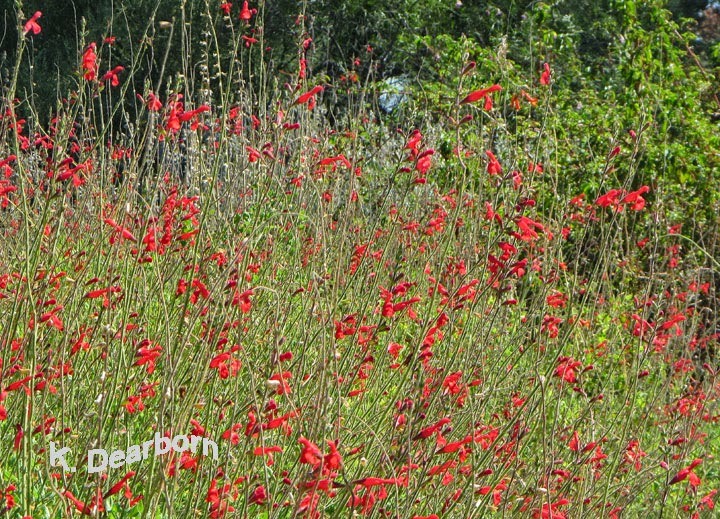 Native plants are more suited to drought conditions and surviving occasional frost. 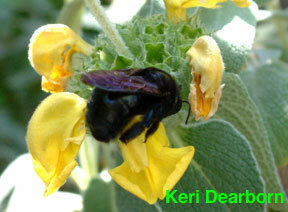 They provide important nectar and pollen food for native birds and insects (like the Valley carpenter bee, video). 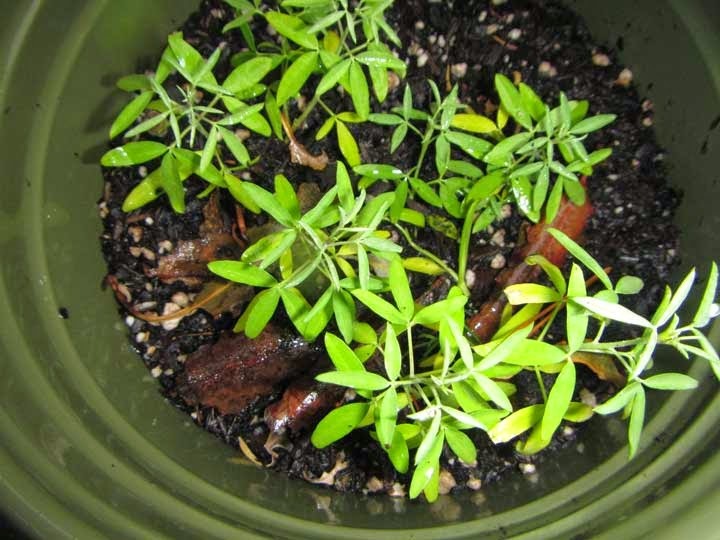 The insects become food for lizards and other birds. Native plants are the foundation of habitat. 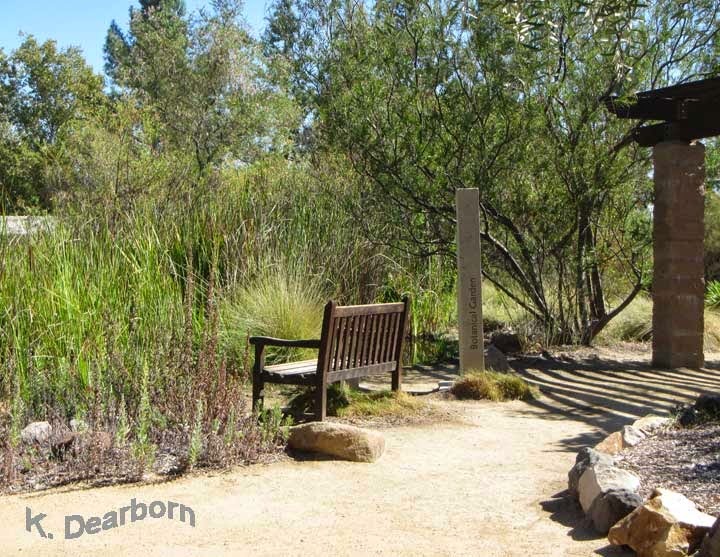 This Hidden Garden at Pierce College is a perfect place to find inspiration in how to arrange native plant species and to find the specific names of flowers or foliage that you find attractive. 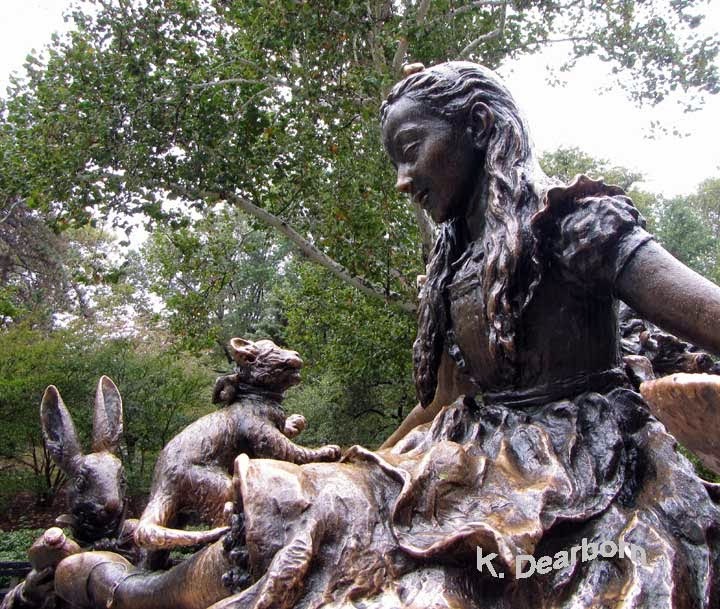 See a video of the Pierce College Botanical Garden and information on visiting this Free oasis in the San Fernando Valley. Today is an important anniversary for American women and the environment–August 26th, 1920 women won the right to vote in the United States. Whatever the motivation, the result is the same: a healthier landscape for living things. Over the past few weeks I've been traveling and I've seen places that were inspirational and locations that are under siege due to human greed. This day reminds me that I have a voice to express my thoughts and concerns. Women across our country, with different political ideals, came together to give generations of daughters a political voice. Some of these women gave their lives for a right many of us too often take for granted. If every eligible woman voted in the coming elections, we could change the course of the country. The first year they had the vote, Democrat and Republican women pressured elected officials to pass the first federal program to assist women and infants–The Sheppard-Towner Maternity and Infancy Act. At that time more children were dying in infancy annually across the United States than the toll of American soldiers killed in World War 1. This single act saved the lives of many of our grandparents and great grandparents. A healthy planet with biodiversity benefits everyone. Toxins and climate change have no respect for borders or political ideals. Vote, it is a sacred right won for us by our grandmothers who did not have a voice. Do you question climate change? In my lifetime I have watched glaciers in Alaska retreat by miles. Check out the video we shot of Mendenhall Glacier in Juneau, Alaska. 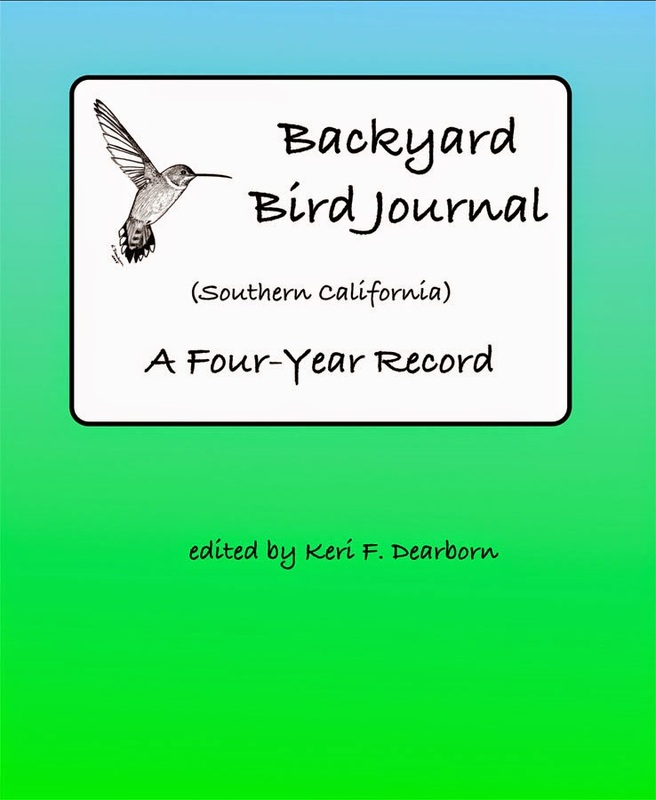 I've seen dramatic changes in the breeding of Allen's hummingbirds in my California yard and changes in the migration patterns of native birds that visit. Many of the animals are responding to impacts on native vegetation. Rainfall in California has declined creating our current drought, but the truth is we haven't had a wet season since 2005. Flood years mixed with low rainfall years are normal for us, but the flood years are disappearing. Small changes can sneak up on you as you ease into them. But if you are documenting daily events in the natural world, either in data, journal, or photos, the dramatic accumulation of change is undeniable. I remember when the Mendenhall Glacier covered most of the rocky outcroppings that are now completely exposed. I remember a 300 foot thickness of ice that nearly hid the top of the waterfall that is now completely free to tumble down a barren rock slope. Watch the video and see the beach beside the churning waterfall. 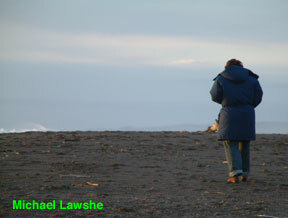 I sat on that beach and cried, because when I was a child that beach was completely covered by a wall of glacial ice. 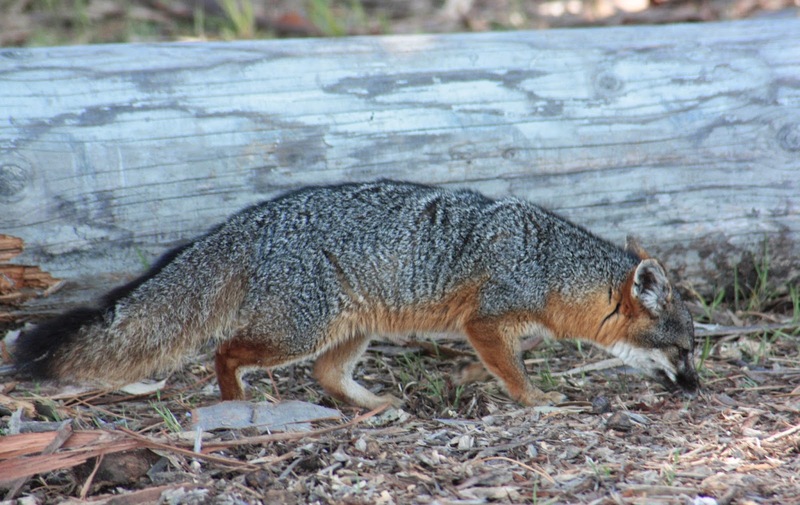 In 2000, four subspecies of Channel Island foxes were on the brink of extinction. 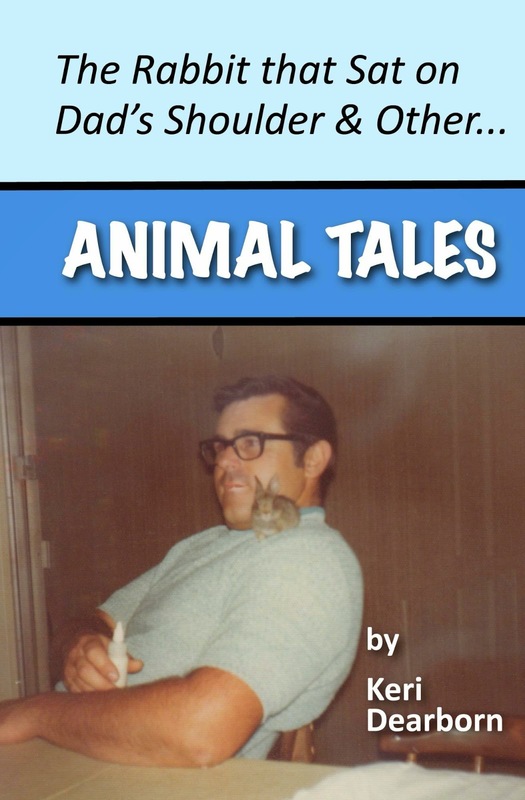 I became involved with island fox conservation in 2002, first as an observer and then as Education Director for Friends of the Island Fox, a non-profit organization focused on education and informing the local California community about this rare animal disappearing on our doorstep. Friends of the Island Fox has worked with biologists and land managers across the six Channel Islands that provide habitat for this endemic California species. Today the island fox is the perfect example of how the Endangered Species Act should work and how scientists, conservation organizations, government agencies and an active community can save a species. 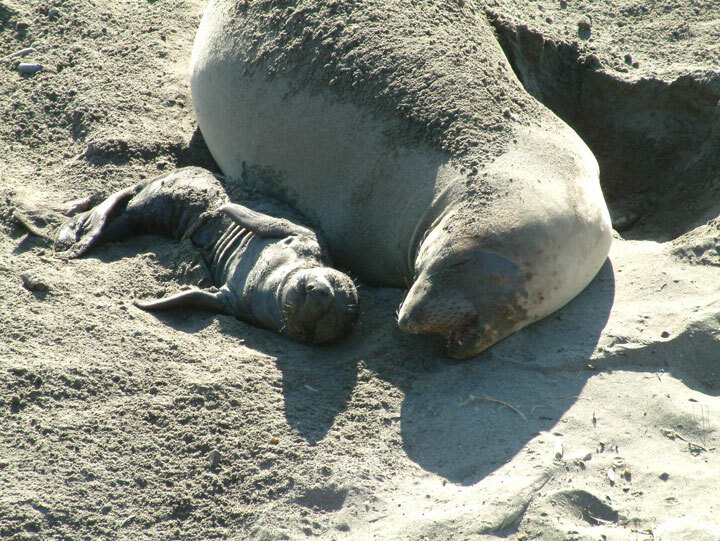 At the low point, only 15 individual animals survived on San Miguel and Santa Rosa Islands. 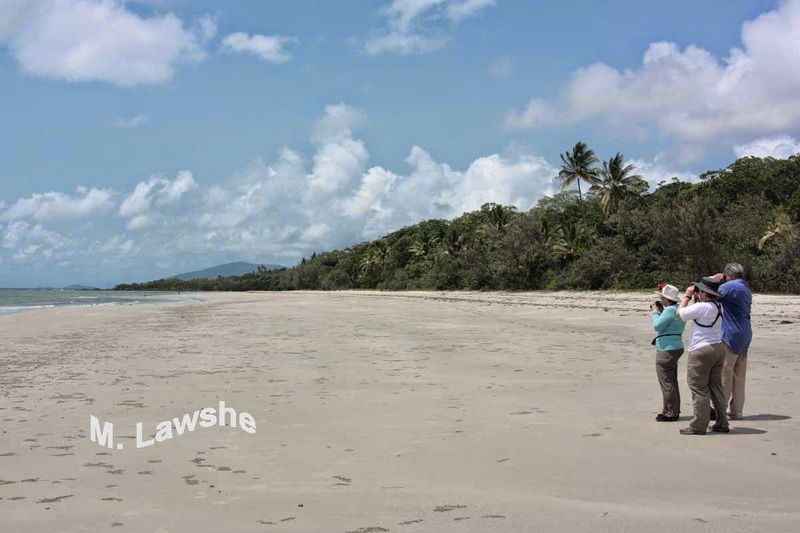 Check out the annual update from the meeting of island fox biologists. 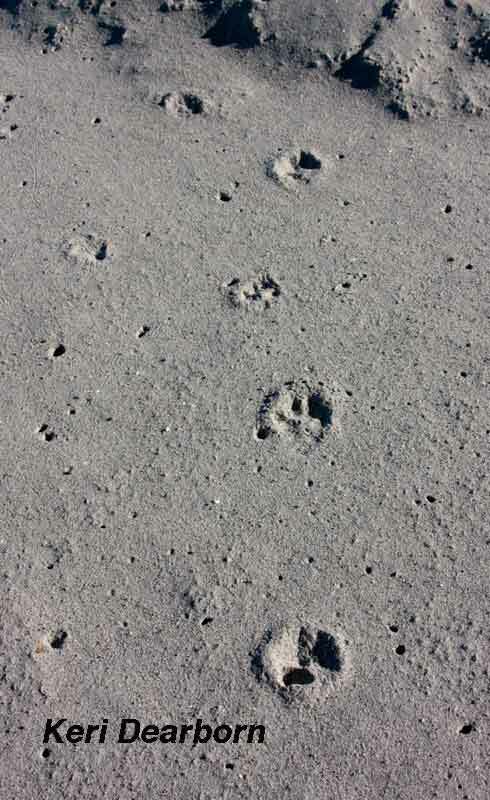 2014 status of Channel Island fox. You will be inspired. Individuals can make a difference. Visit the Channel Islands and see island foxes. 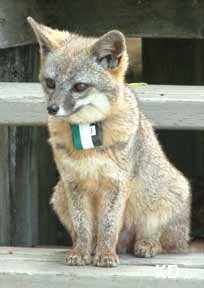 Hear my interview about the island fox and how it came to be endangered. Here and there in the corners of the city, there are wonderful public gardens. I'm spotlighting a few of them on The Earth Minute (theearthminute.com). Each profile offers a one-minute video of the location and details on parking, accessibility, and amenities. 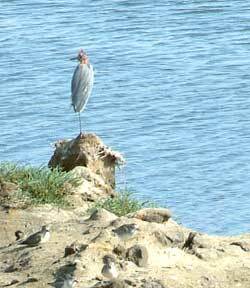 The Malibu Legacy Park offers native plants, a host of birdlife, and mosaic sculptures of California wildlife. Orcutt Ranch Park is a quiet stroll through California history–complete with lemons, adobe, and an ancient oak tree. Where Would You Spend Your Last Day? The world is filled with beautiful places. I love Paris, London, and Istanbul. Walking along the beach is heavenly whether it is Maui or Malibu. I love the Sierra Nevada Mountains with their big trees and the variety of both Alaska and Australia, from the Great Barrier Reef to the rainforest. 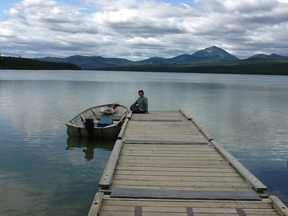 But if I had just one day left on this earth, I would spend it on Squanga Lake in Yukon Territory, Canada. Check out Squanga Lake and floating down the outlet stream. 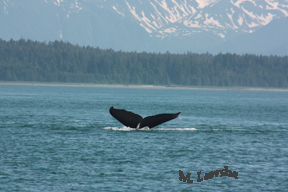 Stunning scenery and wildlife. I hope you have a place that fills your heart as this one does mine. When we began our trek to the beach at Cape Tribulation in Queensland, Australia, we hoped to see wildlife among the exotic foliage. Butterflies were varied and numerous. A chorus of forest birds called out all around us. 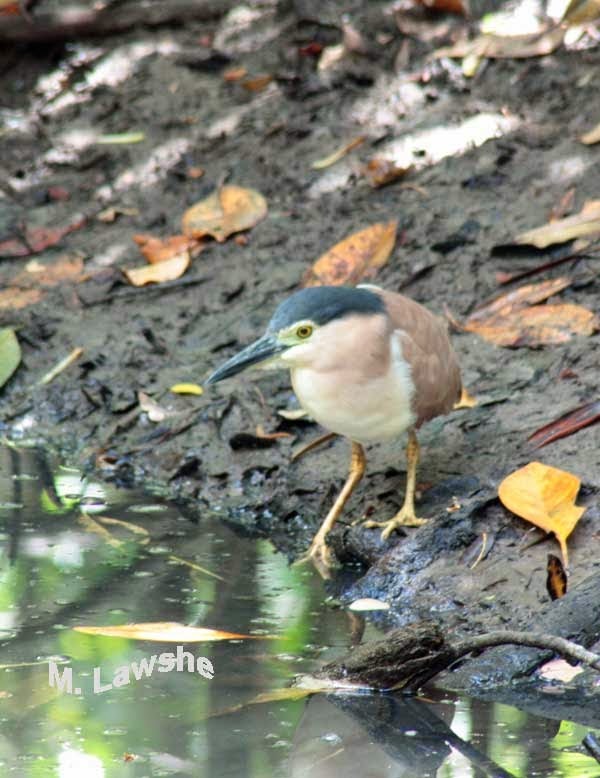 In the dim forest light, spotting this rufous night heron (Nycticorax caledonicus) was exciting. This was the wildlife we expected. Amazing how similar it was in appearance and behavior to the black-crowned night heron we frequently see in the Los Angeles area. 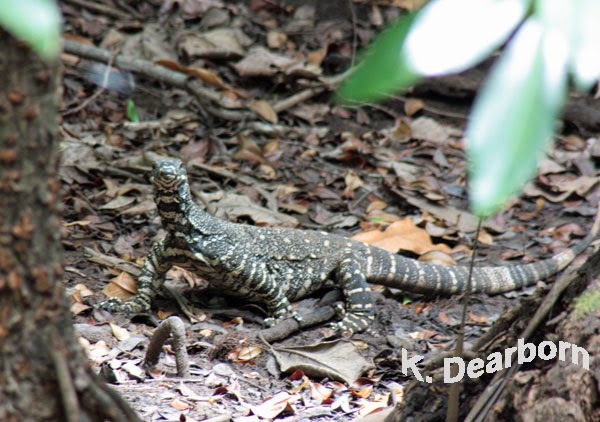 But our thrill came when a rustle in the mangrove leaves revealed a 5-foot-long lace monitor (Varanus varius). Monitor lizards are primarily predators, hunting birds, small mammals and other reptiles. 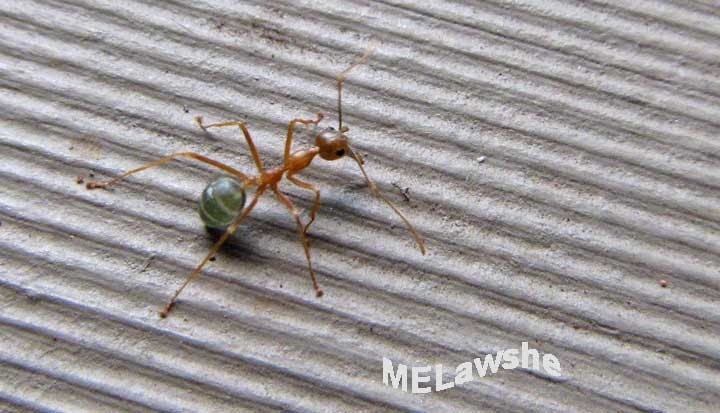 Some species also eat insects and crustaceans. The lace monitor is the second largest monitor species in Australia, and Australia is the land of lizards. In a country where most of the marsupial predators have become extinct, monitors are important mesopredators (predators of small prey). Monitor lizards have a deeply forked tongue like a snake and a keen chemosensory ability. As solitary creatures, they use this sense to communicate with others of their species. We watched this lace monitor mark its territory by rubbing glands, on the head and near the cloaca, on a tree trunk. Another lace monitor traveling this trail would be able to tell the gender, size, and probable health and mating status of this monitor from its scent marking. This behavior is very similar to that of wild felines, which also mark territory with chemical scents. (Your cat is actually marking you as its territory when it rubs its cheeks against your leg. Watch the lace monitor video and see if it doesn't remind you of your cat.) In Australia and Indonesia where there are no wild feline species, monitors are large lizards that fill the same niche. They are able predators, moving rapidly, tracking prey, climbing trees, and living in a variety of habitats. 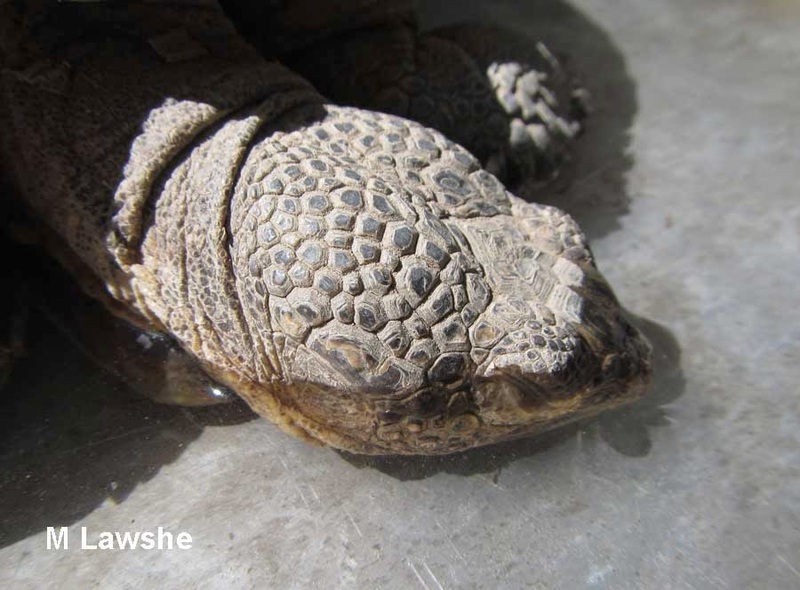 In North America, our largest lizards are fairly small (under 2 ft or 70 cm, snout to tail tip) and the second largest, the chuckwalla is primarily herbivorous. There is no niche for a large predatory lizard because we have wild felines, bobcats, mountain lions, lynx, and the occasional ocelot or jaguar. I've only seen local bobcats on rare occasion and only felt the watching eyes of a mountain lion. Seeing this lace monitor was a reminder of the importance of predators in a healthy ecosystem and how special it is to see a mesopredator in the wild, especially when you are just taking a walk to the beach. Step outside and take a minute to reconnect with the other living things that share our world. 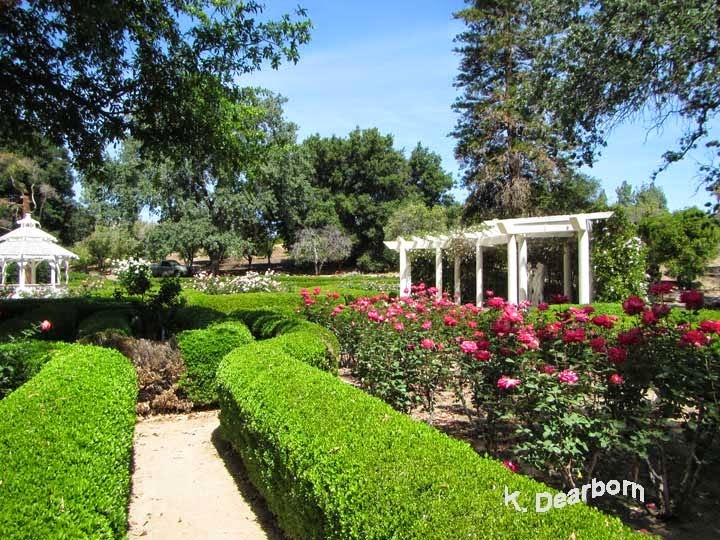 You can do that close-by at a quiet neighborhood location like one of Los Angeles' Hidden Gardens at Orcutt Ranch Park in the San Fernando Valley. Or travel far away, like outer Mongolia - Listen to the wild wind and see the extreme terrain of Western Mongolia. No matter where you go, if you look closely you will see what other people miss: A wild tortoise living among ancient Roman ruins (Temple of Aphrodite, Turkey); flying fox bats in downtown Cairns, Australia; the endangered island fox on California's Santa Cruz Island. When you take the time to engage with the world around you it will bring you peace, wonderment and inspiration. My husband and I are posting a minute of adventure - large and small - at TheEarthMinute.com each Friday. 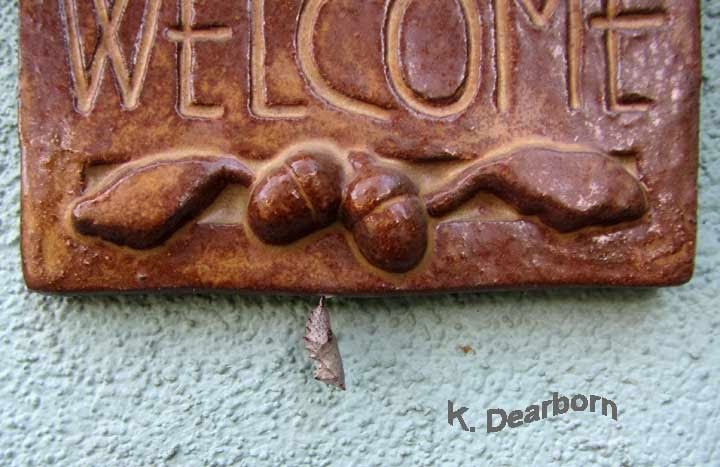 Sometimes you can find a minute of wonder at your back door, like the Bewick's wrens that built a nest on our patio. This Friday I'm posting a moment with some of my favorite micro-carpenters. Subscribe to the e-mail that tells you when a new Earth Minute has been posted; you won't want to miss these bee-autiful builders. Today is Rachel Carson's birthday - a time to reinvigorate the challenge she posed to all Americans. We are part of the environment in which we live. The health of our air, soil and water is just as important to humans as it is to bald eagles, island foxes (video), humpback whales and monarch butterflies. 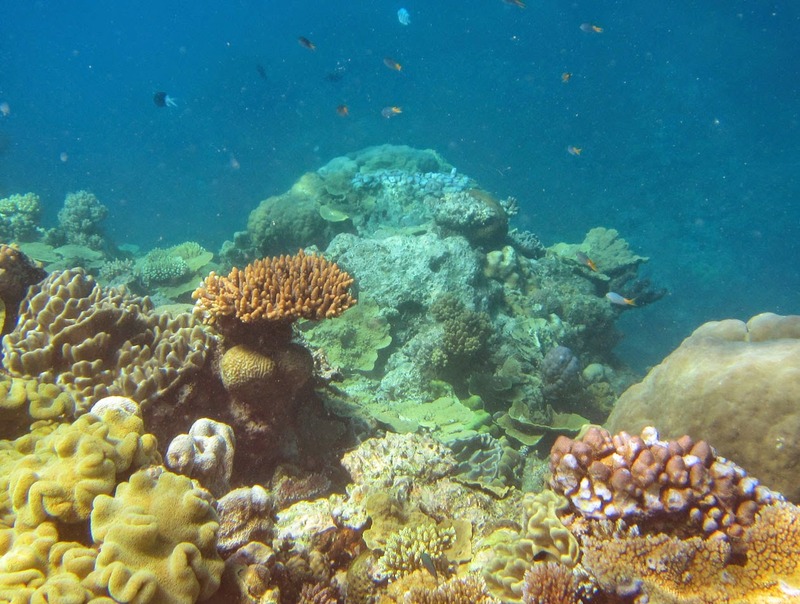 Rachel Carson's early books celebrated the sea, coastal habitats and the variety of interdependent life in the ocean: Under the Sea Wind; The Sea Around Us; Edge of the Sea. 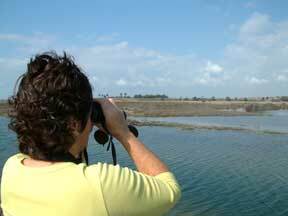 Through her study of coastal habitats and in her work as a writer for the Bureau of Fisheries and eventually the Editor-in-Chief of publications for the U.S. Fish and Wildlife Service, Carson saw what most Americans did not have access to: scientific reports on the toxic impacts of overused pesticides. Carson was not a political person, she believed that science fact crossed political lines. In the years following the publication of Silent Spring, the Clean Air Act (1963), Clean Water Act (1972) and the Endangered Species Act (1973) were enacted by Democratic and Republican administrations. New science facts have been laid before us all: our use of fossil fuels in altering the global climate. Will we come together and act for the benefit of all humanity or let the well-financed voice of a few subjugate us into self-destructive inaction? Your life is already too busy to take on a topic that seems insurmountable? Like all of us, Rachel Carson had personal responsibilities that consumed her everyday life. From the time she was a graduate student during the Great Depression, until the day she died, she was the sole financial support for her parents, her sister, her nieces and her grandnephew. 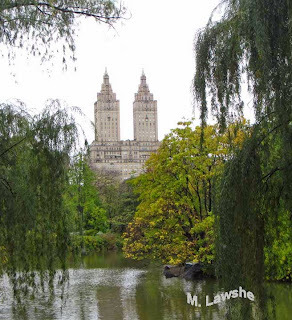 She worked a full-time job and was the head of a household, while writing her first two books. She suffered from a variety of illnesses, including breast cancer that would take her life only two years after the publication of Silent Spring. She was determined not to let the world she loved be destroyed for future generations, are you? In Silent Spring, Carson took scientific information to the American people and challenged us to be engaged as advocates for our local environments, to question short-term commercial gain that disregards long-term damage to life forms and habitats, and to demand accountability of our government officials, from local representatives to the President. If we all did these three things, we could change the future in a positive way. In April, mourning cloak caterpillars (Nymphalis antiopa) matured in our ornamental plum tree and became chrysalises. 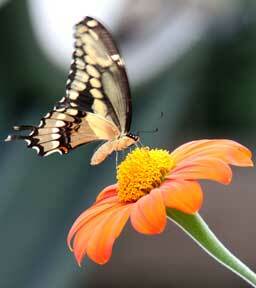 I brought one into the house in a bug box hoping to catch the moment of transformation as it emerged as a butterfly. Resources said the metamorphosis should take 10-14 days. On the 12th day after forming a chrysalis, "Morty" emerged. 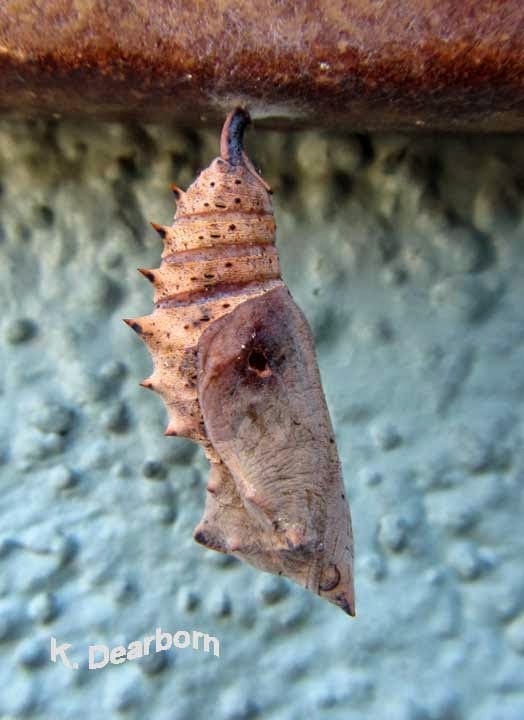 As you might have guessed, one minute the chrysalis was hanging motionless, a half hour later I walked by and he (it) was pumping fluid into unfurled wings. We missed the moment of emergence, but we still had the thrill of seeing how the black spiky caterpillar metamorphosed into a delicate winged butterfly. 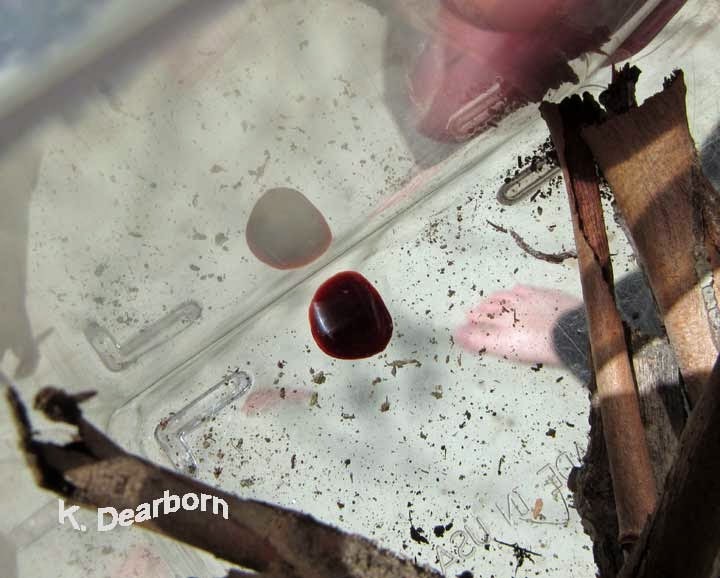 On the bottom of the bug box was a drop of fluid from inside the chrysalis. Some sources say this is extra pigment. Amazingly, when I washed out the box, the water turned an orange-pink. I always think twice about bringing a wild thing into the house because they belong outside. They have evolved to survive warm days and cool nights (saving a bird). 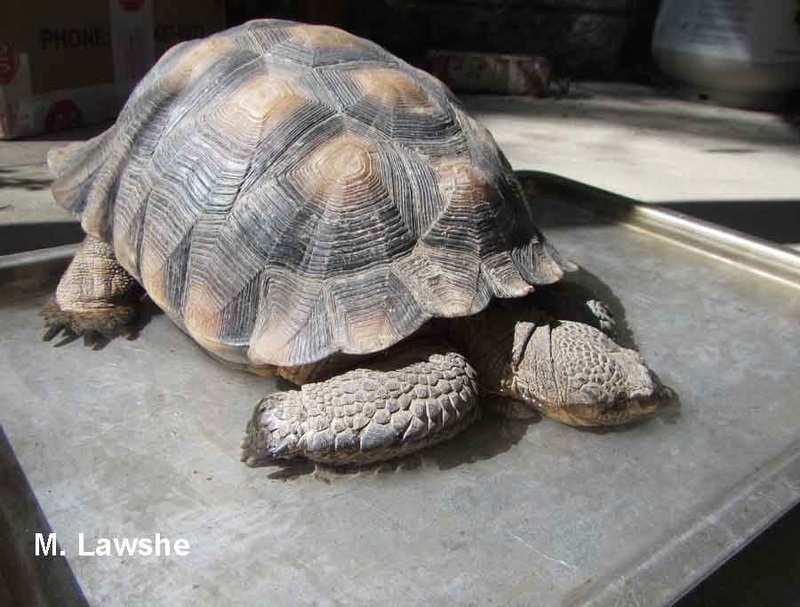 We were diligent to maintain an even temperature and humidity, and to keep the enclosure out of direct sunlight. As day 14 came and went without the color changes we had seen in the chrysalis in the house, we wondered if the cool night-time temperatures had delayed the transformation. We continued to watch the chrysalis and as the daytime temperatures warmed up, I started to see the yellow coloring coming through the chrysalis wall that had heralded the emergence of Morty. Then hot dry winds began to blow. 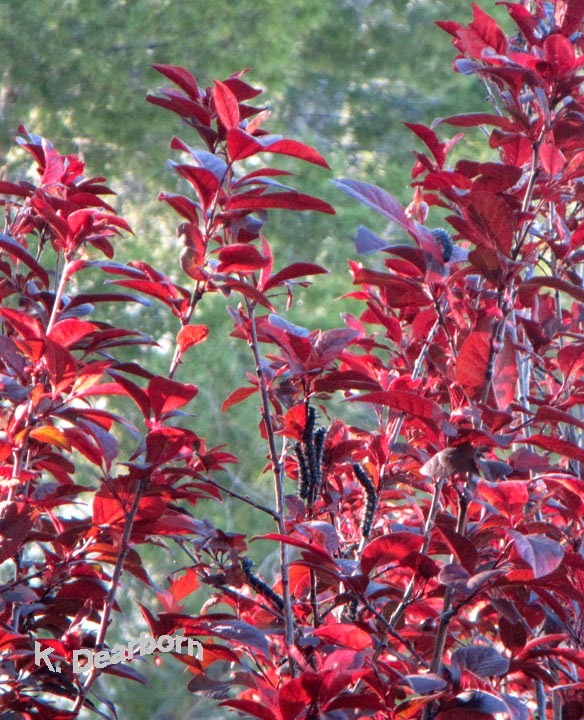 I kept hoping the butterfly would emerge, but yesterday the color seemed intensified. (see original coloring) It appeared to be dehydrating. This morning the story ends. 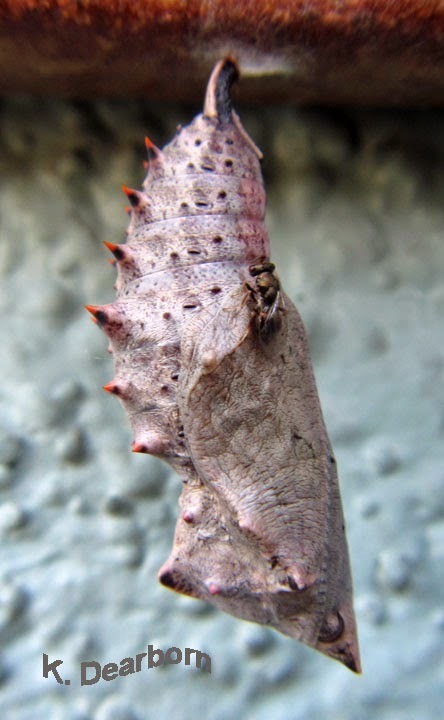 The photo shows a small hole gnawed into the side of the chrysalis. 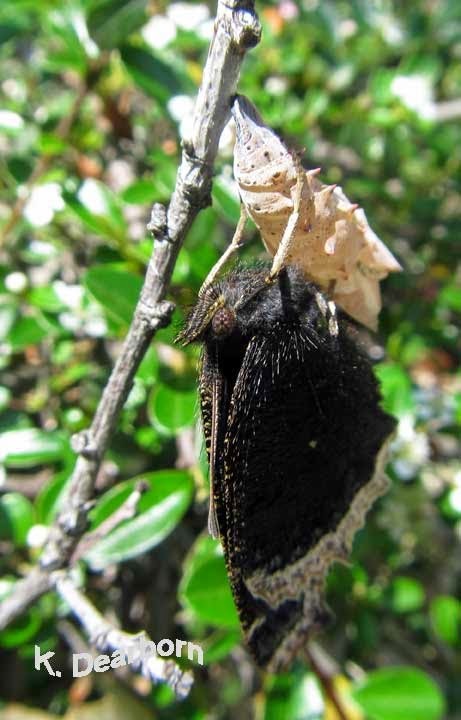 Some other insect has preyed upon the unlucky mourning cloak before it could complete its metamorphosis. Morty is flying about the yard and hopefully some of its siblings are as well. 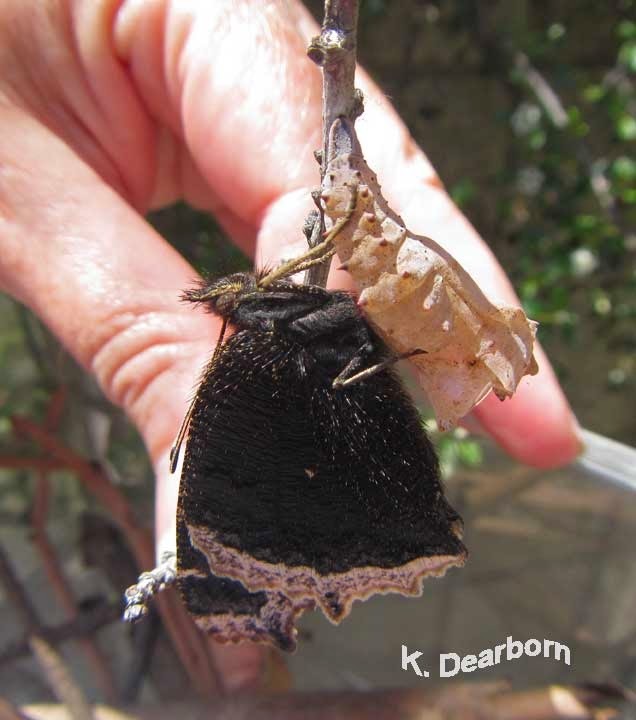 I hope they will contribute to the next generation of mourning cloak butterflies. On a recent trip to Orcutt Ranch Park, I saw a number of butterflies: mourning cloak, painted ladies (Vanessa cardui), western swallowtail (Papilio rutulus), and anise swallowtail (Papilio zelicaon). Check out a video of this Hidden Garden in Los Angeles at TheEarthMinute.com. 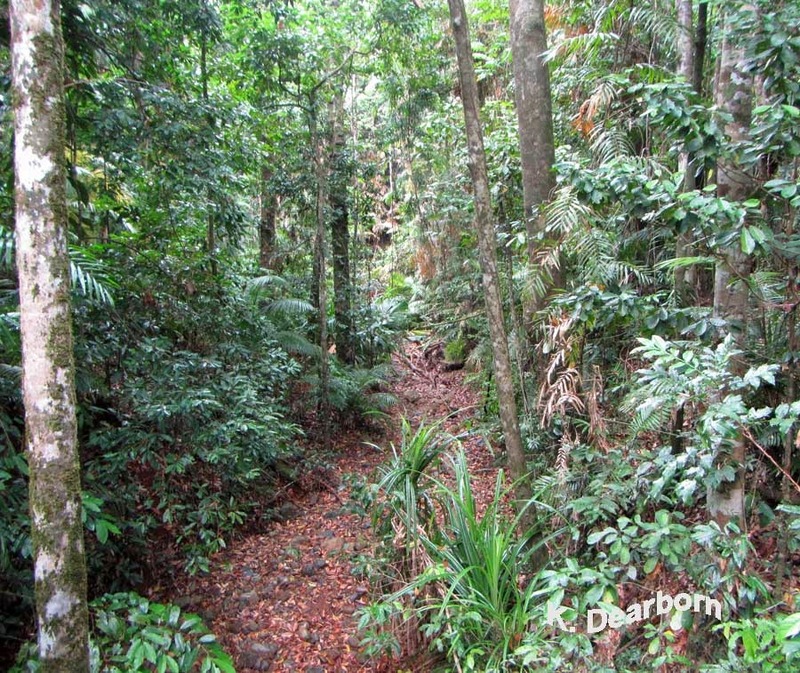 When you look into a forest, like the rainforest in northern Queensland Australia, it can be hard to see the individual trees from the forest. In man-made woodlands around our homes and workplaces, we get used to a specific look–big tree with smaller shrubs and ground covers. But a wild forest is forever changing and there is a progression of plants: small trees growing up under still standing larger trees. Too often we forget that trees have a lifespan or can be compromised by drought, disease, or poor management. In our neighborhood we have seen these three variables reduce the large trees dramatically over 20 years. Our once tree-lined streets, now are sunny and mostly treeless. During a botany walk a few years ago with representatives from some of the major botanical gardens in Southern California, I learned a valuable lesson–think like a forest and plan for succession of large trees. 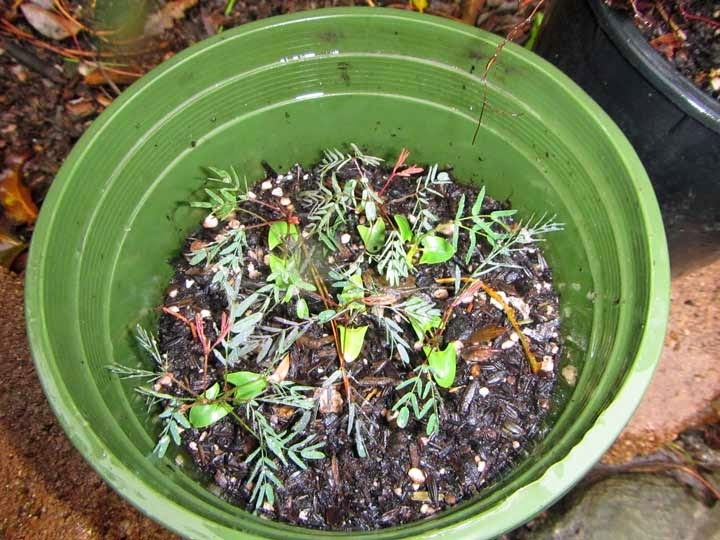 Several of these destination gardens had learned the hard way that wind storms and unexpected disease can wipe out your man-made forest in short order and regrowing those valuable trees takes time. I know I have two trees that are past their prime. 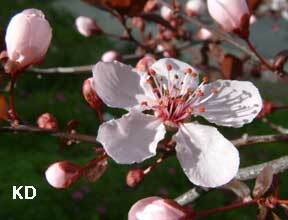 Our flowering plum tree (Prunus cerasifera) can put on a beautiful display in spring, but it is not a long-lived species and termites are now compromising this tree. She probably has a few more years, but it is time to think about succession. What will take this tree's place? 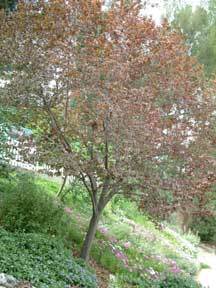 Five years ago I planted a native redbud (Cercis occidentalis), just down hill of the plum tree. Finally, it is really taking hold and starting to grow. It too will offer flowers in the spring, but it will also offer food to native birds and insects. And three years ago I discovered a native coast oak (Quercus agrifolia) coming up as a volunteer. I'm grooming these two trees to take the place of the flowering plum. Last year the arborists discovered a hollow in the Chinese elm (Ulmus parvifolia) that threatens to weaken the tree over the next few years. It will be a loss to our backyard shade when it goes, but we are planning ahead. We planted a native California sycamore (Platanus racemosa) just uphill to eventually take the elm's place. Succession is natural in wild landscapes and with a little thought, you can make it natural in your landscape as well. 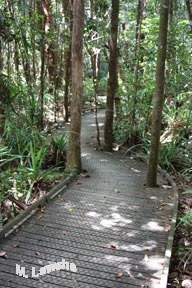 Intrigued by the Australian rainforest. The Bewick's wren is nest building. 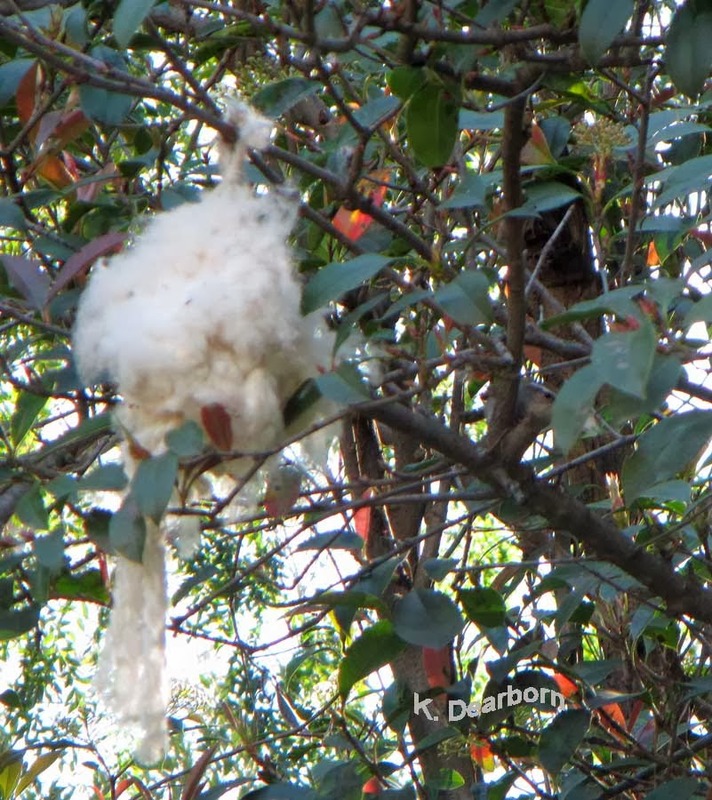 Do you see him about 6 inches to the right of the Nature's Nest raw cotton nesting material? Look for his black eye and the white stripe of an eyebrow. About an inch to the right of his eye, the cotton fuzz in his beak is sticking out from behind a leaf. The wren has already built a nest in the lariat house. 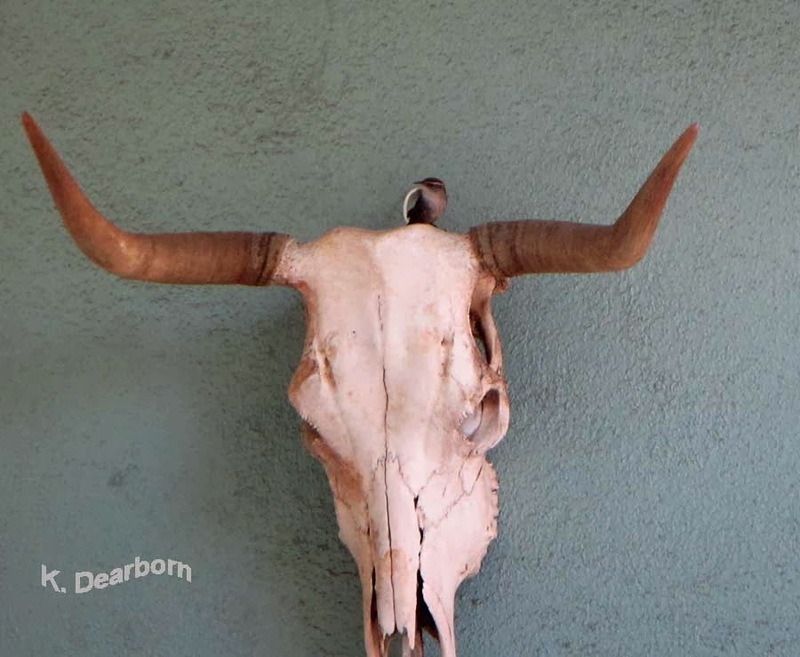 Now he is building a second nest in the brain cavity of the cow skull that hangs on the patio wall. He has been considering this location for several years. This year he decided to go for it. The male Bewick's wren builds two nests and then tours his mate through the two sites. He's hoping one will meet with her approval. Will we have baby wrens in the cow skull? We'll see. 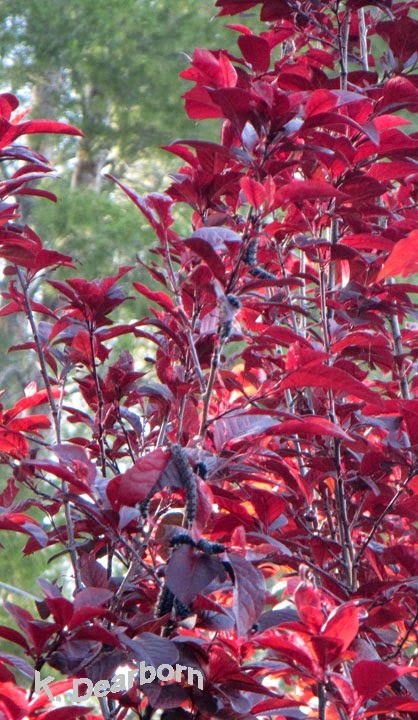 Allen's hummingbirds have already successfully nested once this Spring 2014.